Hire the top 3% of freelance Java developers. Toptal is a marketplace for top Java developers, engineers, programmers, coders, architects, and consultants. Top companies and start-ups choose Toptal Java freelancers for their mission-critical software projects. Mastering Java is no small feat. Its extensive class libraries contain a wide array of capabilities and nuances, many of which are lost on the average developer. Those who have mastered the language can have a significant positive impact on your team's productivity and on your system's performance. Here are some targeted questions to help identify true masters of the language. Toptal is a marketplace for top Java developers, engineers, programmers, coders, architects, and consultants. Top companies and start-ups choose Toptal freelancers for their mission-critical software projects. Computers have been Harold's passion since he compiled his first program in elementary school. He will always appreciate how the software industry continues to change and grow through technology innovations that make our lives more enjoyable and efficient. JoyAnne is a software engineer with 20+ years experience. She has developed and managed the full life-cycle of multi-tier full-stack applications. She's self-motivated and has extensive experience on front-end UI work, server code, and back-end DB management, but her love is JavaEE application development. 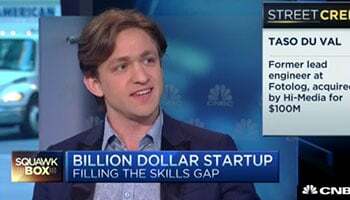 Alex started his career at Google and then as employee #3 at Cloudera. His most position was as a solutions architect at Confluent, working on Apache Kafka. He’s architected and built apps mostly on the back-end—web stacks, data analytics, data pipelines, data engineering, microservices, and streaming ETL. He’s also done some simple front-end development, full-stack development, and Android apps. He's willing to work onsite in the Bay Area. When Anna was a kid, her brother got a Commodore 64 for Christmas. He played video games, and she started coding. Since then, her career has spanned many different projects and programming technologies. But regardless of the task at hand, she always brings the same enthusiasm and passion. Nicolas is an experienced software engineer focused on Agile methodologies with experience in a wide range of projects like real-time messaging systems, cloud solutions, database design, airline booking systems, etc., using a variety of technologies and programming languages. Nicolas inspires confidence by clearly communicating risks, blockers, and new ideas, and by setting real expectations for the development of the product/service/project. Furkan is a software engineer with a focus on back-end programming. With over five years of professional development experience, he is known for producing clean code very quickly, has a passion for learning, and enjoys solving algorithmic problems. He is dedicated and tenacious with his work and will be a great addition to any team. Christopher is an expert JVM developer with solid experience building with Spring, Groovy, and the JVM ecosystem in general. He has managed the full software lifecycle from requirements to deployment, along with systems administration and networking (CCDP/CCNP). He is a proactive guy who's looking for projects that involve back-end engineering, infrastructure questions, networking, orchestration, and harder functional programming. Today, nearly 20 years after its initial launch, Java is reported to be the most in-demand language skill, and by a wide margin (twice as popular as the runner up, PHP). With Java usage being so pervasive, there is no shortage of developers with Java listed on their resumes. But as with any technology, there’s knowing Java and then there’s really knowing Java. 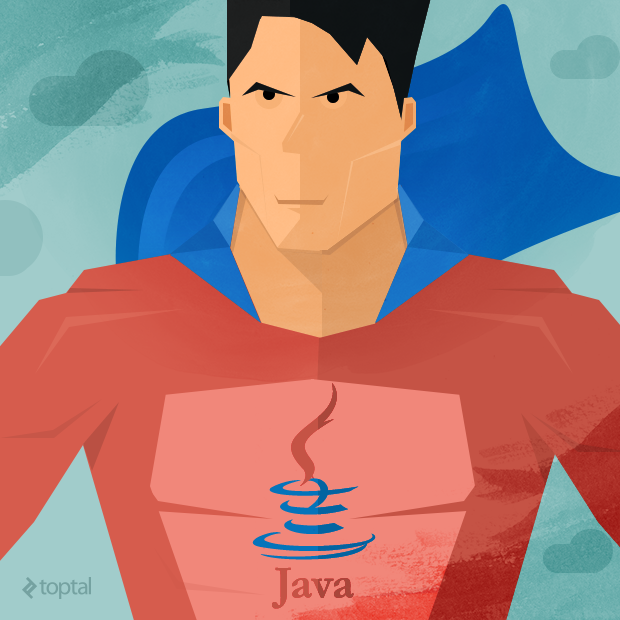 So how can you identify those who are true Java experts? Java mastery, like many skills in life, takes time and a healthy dose of curiosity to fully leverage its power. Accordingly, as described in our post In Search of the Elite Few, an effective recruiting process needs to evaluate many dimensions of a candidate beyond just technical knowledge; attributes such as drive, integrity, and creativity are equally essential attributes of a master developer. Evaluating those dimensions of a candidate can then be augmented with questions – such as those presented herein – to help identify those who are true Java experts. 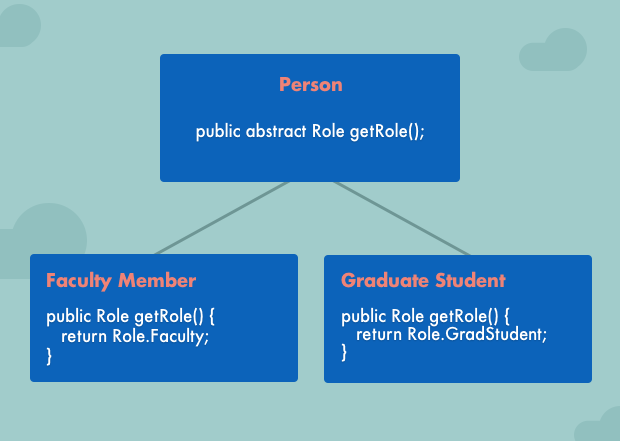 We begin with some questions that can help evaluate the depth of a candidate’s understanding of some fundamental Java paradigms and concepts. Q: What are anonymous classes? When, why, and how would you use them? Provide an example. Q: What are abstract classes? When, why, and how would you use them? Provide an example. Abstract classes are useful for defining abstract template methods that concrete subclasses must implement. All concrete subclasses are therefore guaranteed to honor the API specified by the abstract methods in the abstract class they inherit from. This is somewhat similar to the way in which a Java interface specifies an API for all classes that implement it. Abstract classes may not be instantiated directly; only their concrete subclasses are instantiable. A class may be declared abstract even if it has no abstract methods. This will preclude that class from being instantiated. This can be useful, for example, if a base class in a class hierarchy has no abstract methods but is not itself meant to be instantiated. Q: Compare and contrast checked and unchecked exceptions. Provide examples. Unchecked exceptions are exceptions that are not considered to be recoverable. Java doesn’t force you to catch or handle these because they indicate abnormal, unexpected problems with your code such as NullPointerException, ArithmeticException and IndexOutOfBoundsException. That is, these are problems you need to fix or prevent. Unchecked exceptions all derive from RuntimeException. Checked exceptions are exceptions that are considered to be recoverable. Checked exceptions must explicitly be specified as part of a method’s API; that is, a method that may throw one or more checked exceptions must list those potential exceptions as part of its method declaration (the Java compiler will actually enforce this). When calling a method that throws exceptions, the caller must either handle (i.e., catch) those exceptions or must throw them itself. For example, if a method throws a checked exception, the caller might decide to ignore the error and continue (swallow it), display a dialog to the user, or rethrow the exception to let a method higher up the call chain handle it (in which case it must also declare that it throws the checked exception). // so we don't include FileNotFoundException in our "throws" clause above. // so we do include it in our "throws" clause above. Accordingly, there has been raging debate for years on whether to use checked or unchecked exceptions when writing libaries, for example. As is true with many such debates, the truth is that there really is no one-size-fits-all, across-the-board correct answer. Checked and unchecked exceptions each have their own advantages and disadvantages, so the decision about which to use largely depends on the situation and context. Q: Describe Generics and provide examples of generic methods and classes in Java. Java generics enable programmers to specify, with a single method or class declaration, functionality that can be applied to multiple different data types. Generics also provide compile-time type safety that allows programmers to catch invalid types at compile time. Q: What is multiple inheritance? What are some potential problems with it and why has Java traditionally not supported it? How has this changed with the release of Java 8? Multiple inheritance is a feature of some object-oriented computer programming languages in which an object or class can inherit characteristics and features from more than one parent object or parent class. It is distinct from single inheritance, where an object or class may only inherit from one particular object or class. Until Java 8, Java only supported single inheritance. We’ll discuss Java 8’s quasi-support for multiple inheritance shortly, but first let’s understand what problems can result from multiple inheritance and why it has been so heavily avoided in Java. The main argument against multiple inheritance is the complexity, and potential ambiguity, that it can introduce. This is most typically exemplified by the commonly cited “diamond problem”, whereby classes B and C inherit from class A, and class D inherits from both classes B and C. Ambiguity arises if there is a method in A that both B and C have overridden. If D does not override it, then which version of the method does it inherit; that of B, or that of C? 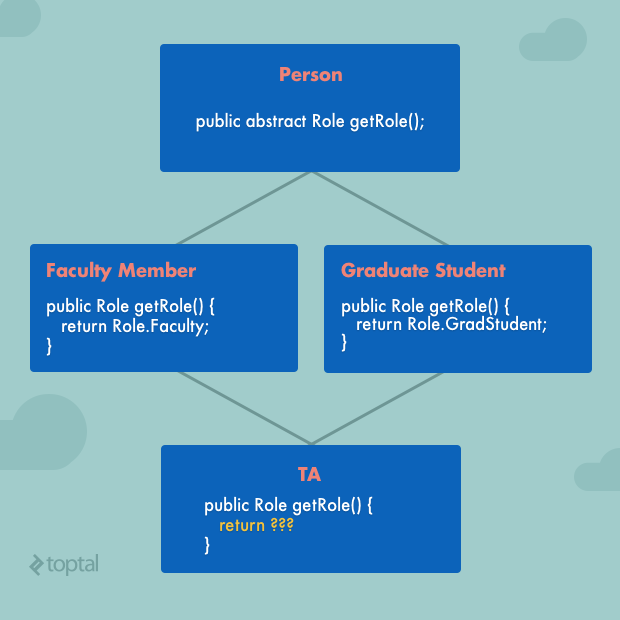 Which getRole() implementation should the TA inherit? That of the Faculty Member or that of the Grad Student? The simple answer might be to have the TA class override the getRole() method and return newly-defined role called “TA”. But that answer is also imperfect as it would hide the fact that a TA is, in fact, both a faculty member and a grad student. There are multiple design approaches and patterns for addressing this type of situation without multiple inheritance, which is why some languages (Java being one of them) have made the decision to simply steer clear of multiple inheritance. Java 8, however, introduces a form of quasi-support for multiple inheritance by allowing default methods to be specified on interfaces (prior to Java 8, only method signatures, not method definitions, were allowed on interfaces). Since Java does allow a single class to implement multiple interfaces (whereas a single class can only extend a single parent class), the allowance in Java 8 for method definitions in an interface introduces the potential for the diamond problem in Java for the first time. For example, if A, B, and C are interfaces, B and C can each provide a different implementation to an abstract method of A, causing the diamond problem for any class D that implements B and C. Either class D must reimplement the method (the body of which can simply forward the call to one of the super implementations), or the ambiguity will be rejected as a compile error. Here we present some more advanced concepts and issues that master Java programmers can be expected to be familiar with. Q: How can you exit a thread reliably using an external condition variable? Sometimes developers want to terminate a thread when an external condition becomes true. Consider the following example of a bus thread that continues to drive indefinitely until the pleaseStop variable becomes true. boolean pleaseStop = false; // The bus pull cord. // Infinitely drive the bus. // Take some time driving to the next stop. pleaseStop = false; // Reset pull cord. Seems straightforward. However, Java doesn’t guarantee variable synchronization implicitly between thread boundaries, so this thread is not guaranteed to exit reliably, causing a lot of head scratching with less experienced Java developers. volatile boolean pleaseStop = false; // The bus pull cord. Object driver = new Object(); // We can synchronize on any Java object. Q: How can null be problematic and how can you avoid its pitfalls? For one thing, null is often ambiguous. It might be used to indicate success or failure. Or it might be used to indicate absence of a value. Or it might actually be a valid value in some contexts. And even if one knows the meaning of null in a particular context, it can still cause trouble if the hapless developer forgets to check for it before de-referencing it, thereby triggering a NullPointerException. One of the most common and effective techniques for avoiding these issues is to use meaningful, non-null defaults. In other words, simply avoid using null to the extent that you can. Avoid setting variables to null and avoid returning null from methods whenever possible (e.g., return an empty list rather than null). In addition, as of JDK 8, Java has introduced support for the Optional<T> class (or if you’re using an earlier version of Java, you can use the Optional<T> class in the Guava libraries. Optional<T> represents and wraps absence and presence with a value. While Optional adds a bit more ceremony to your code, by forcing you to unwrap the Optional to obtain the non-null value, it avoids what might otherwise result in a NullPointerException. Q: What is “boxing” and what are some of its problems to beware of? Java’s primitive types are long, int, short, float, double, char, byte and boolean. Often it’s desirable to store primitive values as objects in various data structures that only accept objects such as ArrayList, HashMap, etc. So Java introduced the concept of “boxing” which boxes up primitives into object class equivalents, e.g., Integer for int, Float for float, and Boolean for boolean. Of course, as objects, they incur the overhead of object allocation, memory bloat and method calls, but they do achieve their purpose at some expense. // Autoboxing. Compiler automatically converts "35" into a boxed Integer. Despite their convenience, though, boxed objects are notorious for introducing gnarly bugs, especially for less experienced Java developers. In the above line of code, we are comparing the identity of two Integer objects. Since each new Integer(5) creates a new object, one new Integer(5) will not equal another new Integer(5). Huh? How can one of those be true and the other be false? That doesn’t seem to make any sense. Indeed, the answer is quite subtle. As explained in an easily overlooked note in the Javadoc for the Integer class, the valueOf() method method caches Integer objects for values in the range -128 to 127, inclusive, and may cache other values outside of this range as well. Therefore, the Integer object returned by one call to Integer.valueOf(127) will match the Integer object returned by another call to Integer.valueOf(127), since it is cached. But outside the range -128 to 127, Integer.valueOf() calls, even for the same value, will not necessarily return the same Integer object (since they are not necessarily cached). Long sum = 0L; // Swap "Long" for "long" and speed dramatically improves. Executing the above code with sum declared as Long took 6547ms whereas the same code with sum declared as long (i.e., the primitive type) took only 1138ms. Q: What is type erasure? The addition of Generics to the language has not been without its problems. A particularly thorny issue with Java Generics is that of type erasure. return a.getClass() == b.getClass();  // returns true??!! This should presumably return false since a and b are different class types (i.e., ArrayList<String> vs. ArrayList<Integer>), yet it returns true. Why? And thus, in the compiled code, a and b are both simply untyped ArrayList objects, and the fact that one was an ArrayList<String> and the other was an ArrayList<Integer> is lost. Although in practice type erasure-related issues rarely cause problems for developers, it is an important issue to be aware of and can in certain cases lead to really gnarly bugs. Q: Describe the Observer pattern and how to use it in Java. Provide an example. The Observer pattern lets objects sign up to receive notifications from an observed object when it changes. Java has built-in support with the Observable class and Observer interface. // Register ourselves as interested in the Exhibitionist. // Called when the observable notifies its observers. Observed and observer classes are tightly coupled causing potential for NullPointerException’s if you are not careful. To circumvent the first issue, an advanced developer can use a proxy (delegate) Observable object instead of extending it. To address the second issue, one can use a loosely coupled publish-subscribe pattern. For example, you might use Google’s Guava Library EventBus system where objects connect to a middleman. Q: Describe strong, soft, and weak references in Java. When, why, and how would you use each? Why are soft and weak references needed and when are they useful? Java’s garbage collector (GC) is a background process that periodically runs to free “dead” objects (one’s without strong references) from your application’s memory heap. Although the GC sometimes gives the impression of being a magical black box, it really isn’t that magical after all. Sometimes you have to help it out to prevent memory from filling up. More specifically, the GC won’t free objects that are strongly reachable from a chain of strongly referenced objects. What that simply means is that, if the GC still thinks an object is needed, it leaves it alone, which is normally what you want (i.e., you don’t want an object you need to suddenly disappear when the GC kicks in). SoftReference objects are cleared at the discretion of the garbage collector in response to memory demand. Soft references are most often used to implement memory-sensitive caches. WeakReference objects do not prevent their referents from being made finalizable, finalized, and then reclaimed. Weak references are most often used to implement canonicalized mappings. Java continues to survive and thrive as a dominant and popular language. But as might be expected with any language that has gone through so many iterations, it has many nuances and subtleties that not all developers are familiar with. Moreover, the ever-increasing breadth of Java’s capabilities requires a great deal of experience to fully appreciate. Those who have mastered the language can therefore have a significant positive impact on your team’s productivity and your system’s performance, scalability, and stability. The questions and tips presented herein can be valuable aids in identifying true Java masters. We hope you find them to be a useful foundation for “separating the wheat from the chaff” in your quest for the elite few among Java developers. Yet it is important to remember that these are merely intended as tools to be incorporated into the larger context of your overall recruiting toolbox and strategy. See also: Toptal’s growing, community-driven list of essential Java interview questions.